The Gus series (and the Club) will teach children self-sufficiency, some survival skills, and will help increase their confidence. The books are fictitious stories about adventure, fun, and wilderness survival. Children are encouraged to go exploring SAFELY and to be sure to pack plenty of food and water before they go exploring! Books are available in Paperback, Kindle, & Audio. Two young cousins, Ethan and Calum (Cal), spend their summer vacations and holidays at their grandparent's ranch in the Texas Hill Country. In this book, Ethan finds a Blue Heeler puppy with a gray, ghost-like face, and names him Gus the Ghost-Face Dog. Cal already has a huge yellow Labrador Retriever named Luke. The boys and their dogs go on many adventures together on the huge ranch, where they learn interesting facts about history and the natural environment of the area. They help capture cattle rustlers and have a close call with coyotes. Throughout the book the boys make many interesting discoveries and they help the town by solving crimes. Ethan and Gus travel back in time, to the days of the pioneers, where they avert an Indian uprising and help the early settlers. The boys learn about responsibility and bravery. They help their grandparents with the chores on the ranch and Gus rounds up the cows. There is never a dull moment with Gus, Luke, Ethan, and Cal, along with their younger siblings Logan, Cara, and Elyssa. They are all heroes. 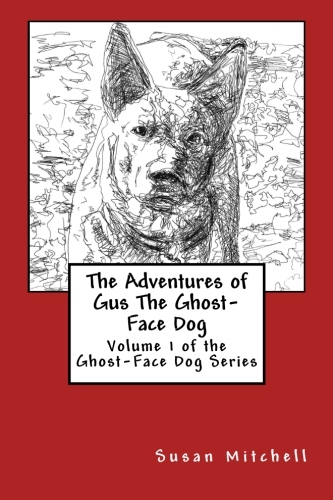 This is the second book in the Gus the Ghost-Face Dog Series. Two cousins, Ethan and Calum (Cal), spend their summer vacations and holidays at their grandparent’s ranch in the Texas Hill Country. In this book, Ethan and Cal discover a ghost, with his horse, who helps them find a time capsule which has been missing for eighty years! With the help of their grandparents, the boys are able to help a boy their age to have the life he has been praying for. In the second story, Ethan, Cal, Gus, and Luke rescue a brave little girl named Skyler from a flash flood. In the third story, Ethan and Gus go back in time and make friends with a pioneer boy named Tommy, when suddenly they are confronted by a screaming panther. 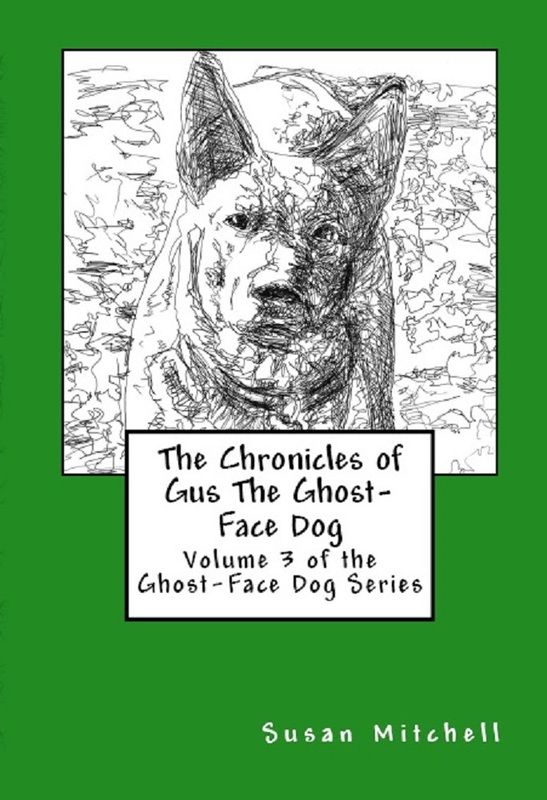 Chronicles is the third book in the Gus the Ghost-Face Dog Series. Two cousins, Ethan and Calum (Cal), spend their summer vacations and holidays at their grandparents’ ranch in the Texas Hill Country. Their dogs are always by their sides. Gus is a Blue Heeler and Luke is a Yellow Labrador Retriever. In the first story, Ethan, his brother Logan, and sister Elyssa; and Cal, his sister Cara, along with Gus and Luke unexpectedly end up going back in time which gives them an opportunity to prevent a war between the pioneers and the Indians who used to live on the ranch long ago. In the second story, while hiking in a lost canyon, Ethan, Cal, and their dogs encounter bank robbers who have just escaped from a police chase. In the third story, the boys discover their neighbor and friend, Mr. Bales, has been kidnapped and desperately needs their help and the help of their dogs. 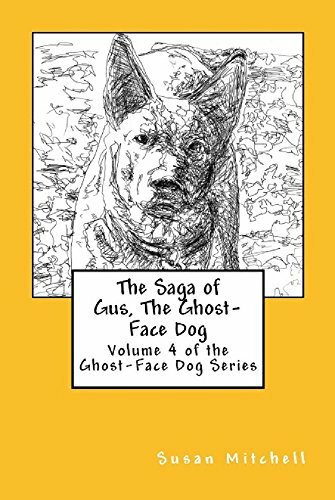 Saga is the fourth book in the Gus the Ghost-Face Dog Series. Cousins spend their summer vacations and holidays at their grandparents' ranch in the Texas Hill Country with their dogs. Gus is a Blue Heeler and Luke is a Yellow Labrador Retriever. In the first story, Ethan, Logan, Elyssa, and their cousins, Cal and Cara travel back in time. Ethan and Cal are captured by Comanches, and it is up to their siblings and cousins to rescue them, with the help of their dogs. In the second story, Ethan and Cal find a treasure map buried in a cave and search for the treasure which turns out to be on the ranch. In the third story, Ethan and Logan find a lost gold mine which is dangerous and ready to collapse. Mysteries is the fifth book in the Gus the Ghost-Face Dog Series. Five cousins and their dogs spend their school vacations at their grandparents’ ranch in the Texas Hill Country. They have discovered a secret passage to the past whenever they go to sleep next to the old pioneer ruins. When they find a carved message in an old oak tree from a pioneer friend Ethan met on a previous time travel trip, the kids decide to go back in time to help… where they encounter a very dangerous situation. In another story, Ethan and Cal go on a fishing trip with their grandfather along with his friend and neighbor, Scott, who mysteriously disappears. The final story takes place when the cousins and their parents go on vacation on a cruise ship. The kids discreetly witness a suspicious looking man take a case from the ship ’s storage room which calls for an investigation. There is never a dull moment!